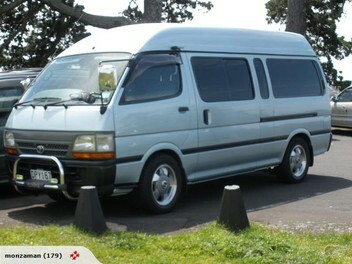 I'm an honest/friendly NZ guy with a '98 hiace van (both reliable)experienced for safe dry moving of your stuff & to complete TM purchases from $30. 1st item from $30,flat/a­pt/house,bedroom and office moves $60 per hr. Not wednesdays­,sundays and occasional thursday or friday-tha­nks. My van has a 3.2m long carpeted floor.Don't rent an awkward trailer as van easily carries 2-3 times more. NOTE 1,I don't have an assistant,am very able but not superman. NOTE 2,I need dimensions/description of large items,eg a 1.8m tall yucca tree(was 4 trees in 1 plant-over 100kg wet,2 man lift into van-wasn't told) a couch-turned out to be 2 after picked up another. NOTE 3,I need sellers name and ph no,went to Clevedon-Hunua border a 2nd time cause info not given, not worth it! NOTE 4,CASH ONLY please-no last minute onliners or ATMs! Great service @ great price. Will definitely use again. Thanks Adrian. You are very kind and you've done great work. Thank you very much! Excellent!!! Good communication. Picked upon time and delivered as promised. Will usr again! Thanks Adrian. amazing service, fast and reliable, thanks for the fair price. very nice to deal with, will be using again in the future for sure. Highly recommended. Adrian was great, would totally recommend, very reasonably priced. thanks Adrian. Thanks so much Adrian, really appreciate your accommodating style and promptness. Great job and very highly recommended. AAA+ Service - Very reliable & Trustworthy. Will always be my trademe pickup driver. Great service, professional, punctual,and very friendly. Will highly recommend Adrian! Great service and very affordable. Adrian was friendly, helpful and punctual. Highly recommended. Prompt response to our request for a last minute delivery. Good price. Friendly courteous trader. Such a lovely and helpful guy, move went so smoothly and he was really careful with all my things. Great price, would recommend to all and will definitely use again, thanks! AAA+++ 100% +++ Another excellent pick up & drop off from a wonderful, reliable & efficient Mover!! Excellent communication!! Very highly recommended to all!! Many thanks Adrian! !